Scroll to learn about this year's trends. 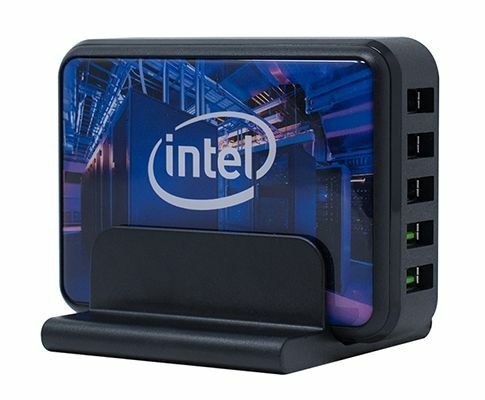 Click on any image to learn more about the pictured item. 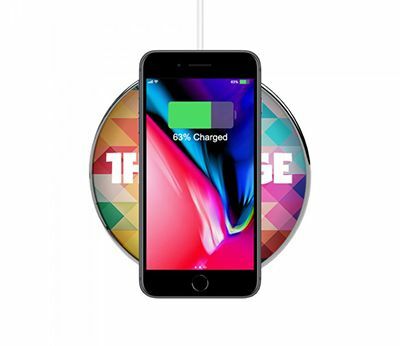 Qi Technology in the latest iPhone and Samsung products has created the need for wireless charging pads. In any form, these pads contain a significant amount of real estate for branding. People will want to have multiple units to accommodate home, office, and travel. One tip: Order a charging pad with a plug-in adapter so as not to exclude those who do not have the latest phones. 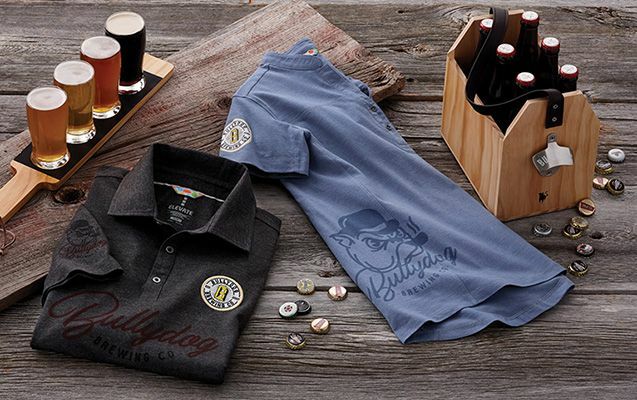 As companies continue to look for ways to differentiate themselves, custom apparel is shaping up to be a significant trend. 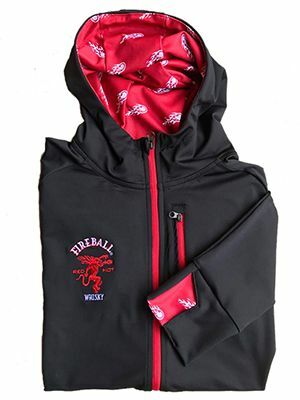 Various components of jackets, hoodies and other apparel items can be combined in infinite color combinations. Dye sublimation techniques allow for intricately patterned jacket linings, zipper pulls, and garment accents. Best of all, the minimum order quantity for these custom pieces is lower than you might think. On average, 64% of American adults drink one cup of coffee a day (Gallup). Activity that prolific presents an incredible opportunity for branding. In addition to mugs and tumblers that keep coffee hot for 10 hours or longer, this year brings new desktop brewers and French Presses that are integrated with the drinkware. Now a fresh cup, or your brand, is never far out of reach. We check our phones an average of 46 times per day (Deloitte), and that’s across all age groups. Phones will continue to be an opportune spot for branding. Phone wallets, rings, and pop up phone holders continue to be popular and new variants are being introduced by the minute. 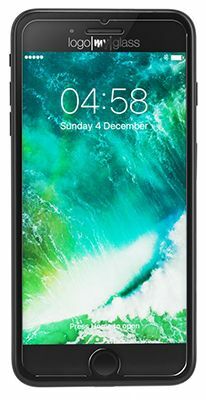 This year, for the first time, marketers will be able to get on the front of the phone via logoed tempered glass screen shields. 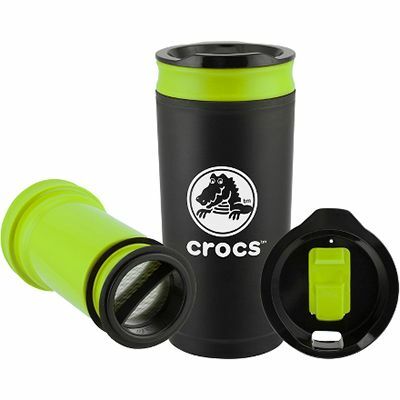 We continue to see more promotional products offering full-color imprint or decoration. This extends all the way down to pens and small accessories, which were once limited to only one or two color imprints. Digital printing allows for richer images and “domed” logos provide eye-catching dimension. With full-color, companies are able to easily differentiate promotional items related to specific events, such as product launches or company retreats. It seems everyone has gotten the message about the benefits of drinking water. 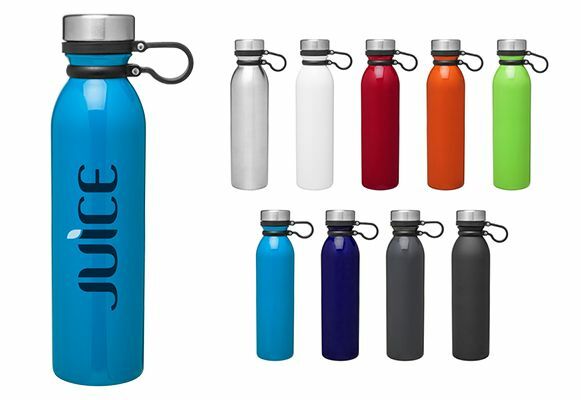 Shapes and construction similar to retail brands such as S’well, Corksicle, and Hydroflask are being offered in an increasing number of colors and finishes. This year look for multi-use tumblers that can insulate cans and bottles in addition to being filled with water. Also, many manufacturers are now offering full wrap-around graphics, offering great opportunities for eye-catching customization. With newer technical fabrics come innovative decorating techniques. Synthetic woven garments offer a great base for heat transfers, laser etching, and fabric deboss. Companies are helping their employees stand out in a crowd with large scale graphics and gradient colors. In addition, garment decoration will extend beyond the realm of “left chest” to sleeves, collars and hemlines. Multiple techniques applied to one garment also increases depth. 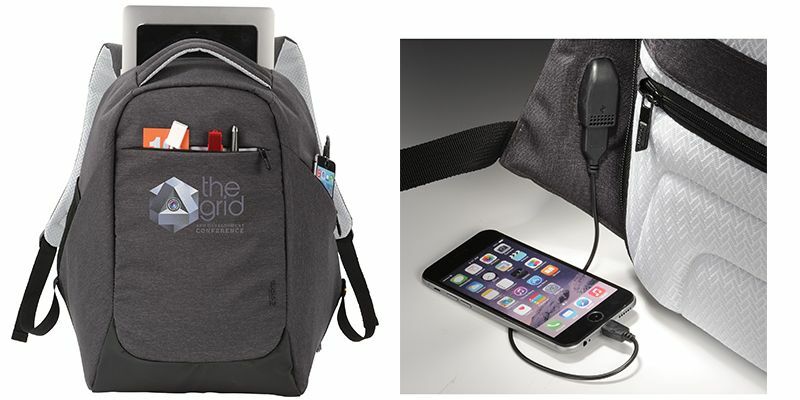 Backpacks have surpassed messenger bags as the preferred work bag and remain one of the top new hire gifts. This year sees the debut of many new features designed to raise the game. Look for bags with integrated USB charge ports, rear-facing security pockets, and full-color printing options on straps and outward facing pockets. Presentation is taking center stage this year as more manufacturers offer decorated gift box options. This is the perfect way to bundle multiple products with coordinated design themes. Single items, such as tumblers and journals, are being packaged in customer-designed retail boxes. 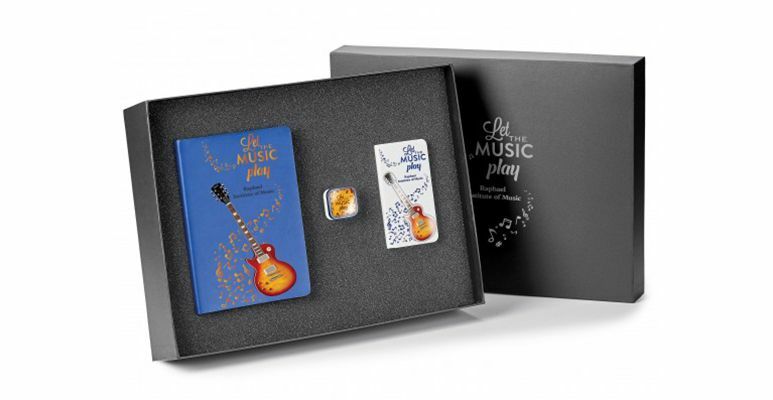 These custom packaging options offer a great opportunity to make a statement about a specific event—think New Hire or Customer Onboarding gifts. More working "road travelers" than ever before has led to the emerging trend of hotel room fitness items. Yoga mats, virtual jump ropes, strength builders, and fitness trackers are making their way into the promotional products world. 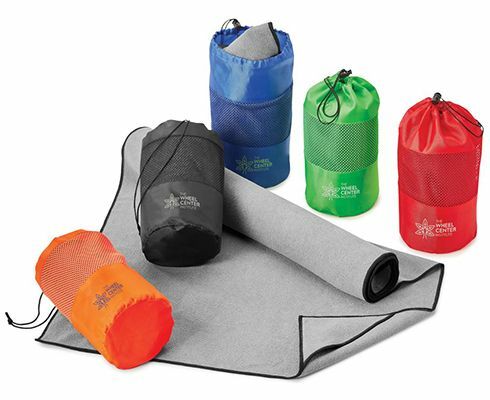 These compact items are perfect for employee wellness programs and trade show gift bags. Contact us to learn more about any of the trends or items featured on this page. We'll be happy to steer you in the right direction!